Guardall is considered to be Australia’s very own superior wall safe manufacturer. We design and style each of our products and have them crafted under the strictest level of quality controls. 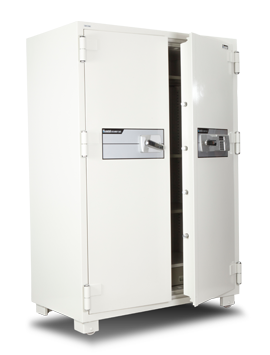 Guardall offers a safe for every role; residences, companies through to finance institutions; all to safe-keep your belongings from theft or flames.Browse this site in order to identify the safe which you feel satisfies your current requirements, and contact us now for the particular Guardall choice. Tel 1300 1 SAFES (1300172337) for you to be connected to the nearest Guardall Preferred Rep.Choosing a safe for the home or office can be a good way in order to safeguard ones possessions. There are many goods available but the most suitable choice depends upon just what a person need to secure, the danger along with the amount of security you will need. Whenever theft may be a worry, select a product which could be moored solidly to your residence or business premises for the very best security. In the event that fire protection is your top priority evaluate the flame resistance rating. Regarding storage devices like data cassettes as well as cds, pick a media safe having dry fill construction which does not give off h2o steam. Adding a good safe at your residence or even business may have added benefits in lowering insurance charges. Consult your own insurance broker to find out if the new safe or vault will make you elegible for discount rates. Regardless of what product you select, weigh your options carefully and then make the best choice to safeguard your valuable items. And maybe even less difficult, contact us and we’ll help guide your decision making process. The one instance you require that protection you will know it was time well spent.